 Scott Keith — 5 star We've purchased two vehicles from James now and constantly refer our friends to him when they're looking as well. The service is excellent, and he remembers his clients and gives great after-purchase service as well, making us feel like more than another auto sale. Very appreciated! From my Facebook timeline: Hey! You sir are awesome!! Thnx for helpin out my parents! Been a fan since you started Autosource and still recommend you every time! 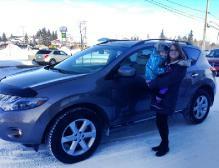 Tamara Shiels — 5 star Purchased a 2009 Toyota Matrix. Wonderful vehicle and outstanding service. We travel on all sorts of roads in the pursuit of photographs and thus a piece of metal started vibrating underneath and James went out of his way to quickly fix it at no cost. Can't think of a better place to buy a vehicle. Sincerely the Shiels family.
"" Just want to say thank you, James! We are loving our Vibe! Had a nice drive home, looking forward to enjoying our new car! Thanks again for your great customer service with no hassles at all. It made the buying experience very pleasant. Shelly Hayter — 5 star We bought a Lancer from James in October. Excellent customer service! Will definitely buy our next car there. Tyler Stein — 5 star Me and my wife are from Saskatoon and came to Autosource to buy a 2012 Fiesta. No dealership could match their price, hands on service, and honesty. Well worth the drive from the city! Allan Fafard — 5 star Great place...James is very helpful! Looking at buying another car from him.